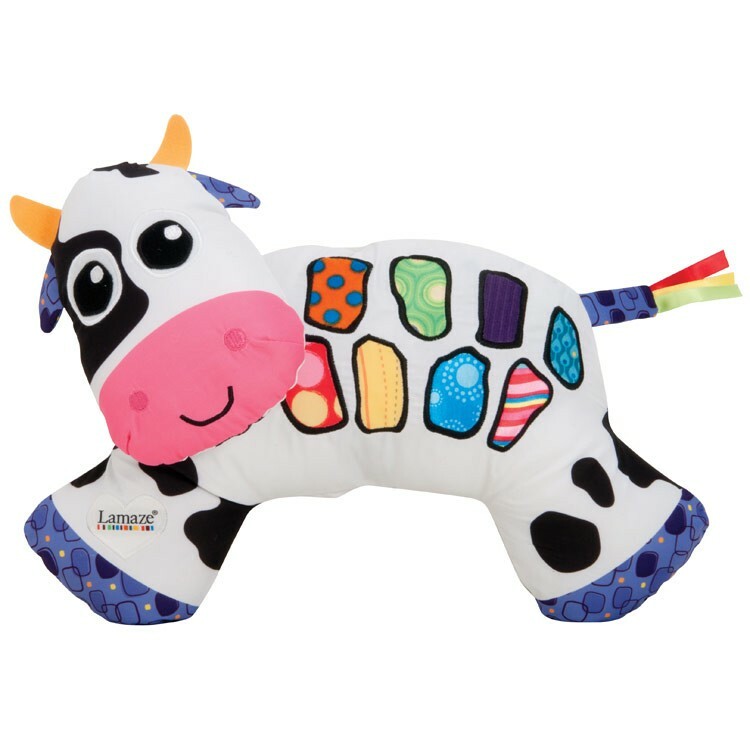 This Lamaze Cow Chorus cognitive toy features lights, sounds, textures and bright contrast colors to develop senses and bring interactive play for your baby. 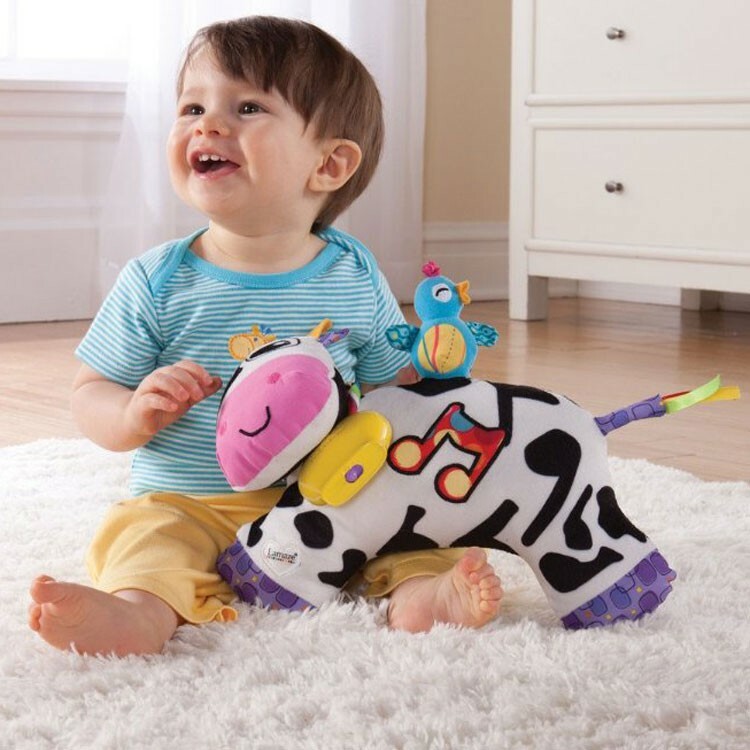 Bring some MOOsic to your baby's life with this adorable interactive toy cow for infants. 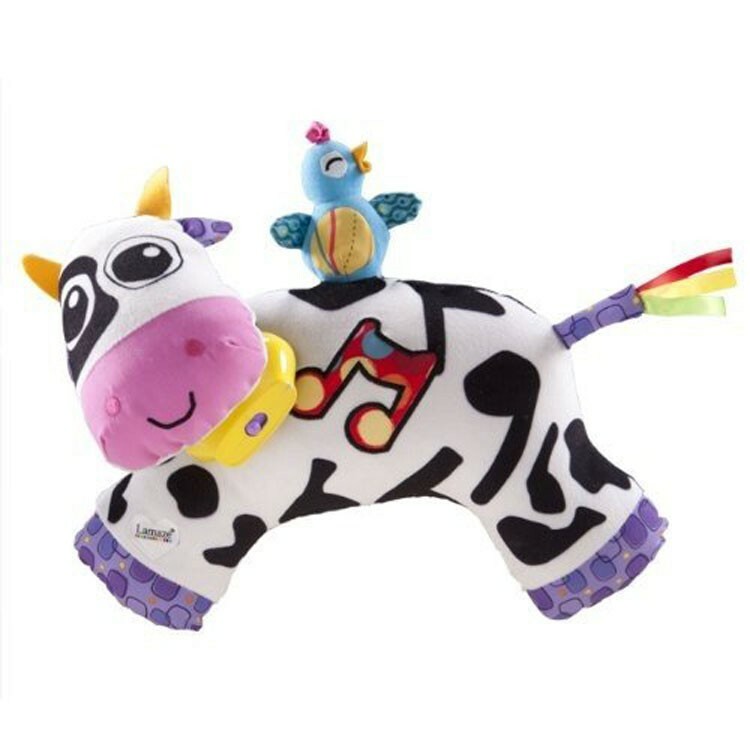 Your baby will grow, discover and learn through play with the electronic Lamaze Cow Chorus Baby Musical Toy. This Lamaze cognitive toy for infants features lights, sounds, textures and adorable contrast colors look to develop senses and bring interactive play from the first days from your baby's life. 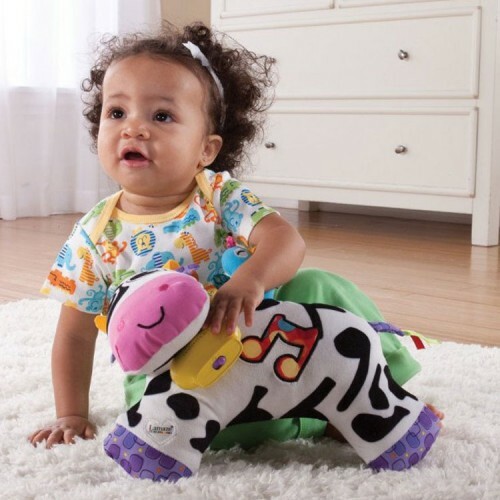 The soft toy cow comes with the plush huggable body, crinkle ears and bird on top, music playing bell on cow's neck, and a ribbon teether tail. 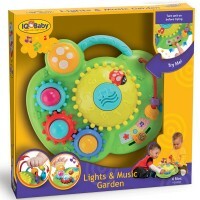 This light and sound baby toy features 2 listening modes: day and night. The day mode plays a cheerful tune with some friendly MOO sounds, and night mode - calm lullaby melody with some soothing soft snoring sound. 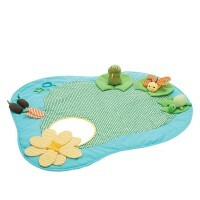 When baby gets a little older he/she can tap the note on toy cow's side to play the song. 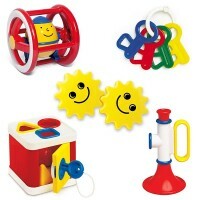 Educational Toys Planet offers this baby first toy to provide visual, tactile, and sound stimulation, improve motor skills, and bring lots of smiles for babies and parents. 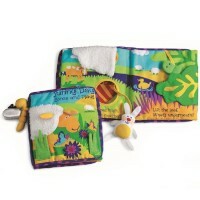 Dimensions of package 0.11" x 0.145" x 0.05"
Write your own review of Lamaze Cow Chorus Baby Musical Toy.